Home » Featured » How to Treat Yeast Infections? How to Treat Yeast Infections? The majority of yeast infections are caused by Candida and in general they do not pose any serious medical threat. Patients with yeast infections can experience oral thrush, skin and diaper rash, vaginal thrush and many other problems due to the overgrowth of the yeast. Beneficial remedies for yeast infection treatment can be found in many drugstores and these are mostly over the counter products. Apart from OTC remedies, doctors prescribe other medications for this purpose. Either way the person suffering from symptoms of a yeast infection should be well in a matter of days. People whose immune system is already seriously weakened would benefit from consulting the doctor before any home treatment, because in them the risks of health complications are much higher and more serious. (infection caused by Candida yeast) is commonly treated with antifungal remedies containing nystatin. This chemical is the main ingredient of products such as: Nilstat, Mycostatin and Bio-Statin. These liquids are supposed to be used as mouthwashes, swished in the mouth and then spit out. Treatment might include additional drugs such as fluconazole tablets or antifungal lozenges, but this is not suitable for kids or babies. Pharmacists advise closer attention to oral hygiene to every patients complaining about oral thrush, more so if a person wears dentures. To avoid mouth thrush, breastfeeding moms should be tested for Candida of the breast and every toy the baby plays with has to be sterile. medical professional. Visit the child’s pediatrician, so he or she could prescribe the required cream or even IV (intravenous) drug, if necessary. Irritation and itching of the vaginal area provoked by yeast infection commonly respond well to over the counter formulations, containing chemicals with antifungal properties. Active ingredient of Gynazole 1 is butoconazole, while Femcare, Mycelex-G and Gyne-Lotrimin contain clotrimazole. Miconazole works as antifungal remedy, too, so Monistat products 3, 5 and 7, Micon 7 and M-Zole Dual Pack can be used to treat vaginal thrush. Vagistat 1 and Monistat 1 contain tioconazole as antifungal agent. The mentioned products should be massaged into the vaginal area up to 7 days, as advised by your pharmacist. Problems associated with yeast infection should subside after a week. If the symptoms remain persistent, do not hesitate to consult the doctor. Pregnant women should always consult their physicians before any yeast infection treatment. 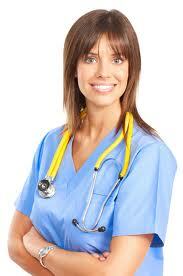 Only a medical professional is educated to diagnose serious problems and prescribe suitable medications. This way the patient gets the needed help and avoids further health complications. Reddish Skin, Itching and Burning– Do You Have Yeast Infection? Natural Candida Cure – Can it Really Help?